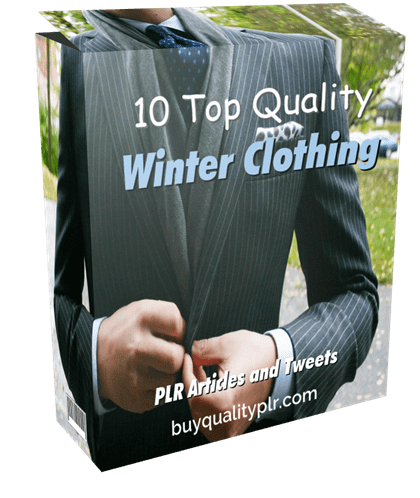 In this PLR Content Pack You’ll get 10 Top Quality Winter Clothing PLR Articles and Tweets with Private Label Rights to help you dominate the Winter Clothing market which is a highly profitable and in-demand niche. 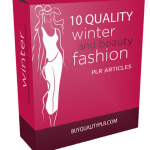 These Winter Clothing PLR articles are available in Text file format and can be downloaded instantly after purchase. 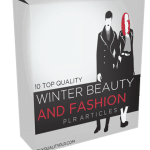 What Can You Do With This Winter Clothing PLR? 2. Fairtrade, Ethical, Organic – What’s the Difference? 3. How Eco-Friendly Is Cotton? 4. How Eco-Friendly Is Wool? 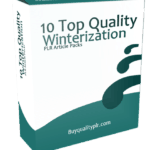 Once there is a chill in the air, it’s time to take out your winter clothing to get ready for a few months of cold. The trouble with winter is that most of us still want to look stylish even in clunkier clothes. Fortunately, there are ways to refashion your winter wardrobe so you can make the most of what you have and not feel the need to run out and buy even more clothes. Take everything out and sort it into types of items first: sweater, pants, dresses, and so on. Then start organizing it into mix-and-match outfits to make the most of each piece. Make a list, and/or hang the items in the closet together. If there are any items left at the end that don’t have at least one good match, you have a couple of choices. 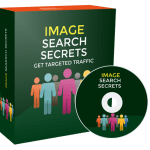 If you love the item, you could go shopping at a thrift store to find a couple of garments that would go with it. 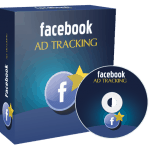 Or, you can donate it to the thrift store or sell it on eBay if it is in good condition. With all of your remaining outfits, try the following 12 tips. Add a stylish belt to any outfit in order to look slimmer. Use a long sweater as a dress or tunic with leggings. You can give jackets and coats a whole new look with this one simple change. A brooch or lapel pin can make a garment go from drab to fab. A signature necklace will draw attention to the upper part of your body, so no one really needs to pay attention to the plain black pants or leggings you are wearing. 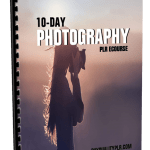 We will only be selling 50 copies on this Winter Clothing PLR content pack, so don’t waste any time and grab your PLR license while it’s still available for sale.